For Olympians, once the competition is over the party begins. 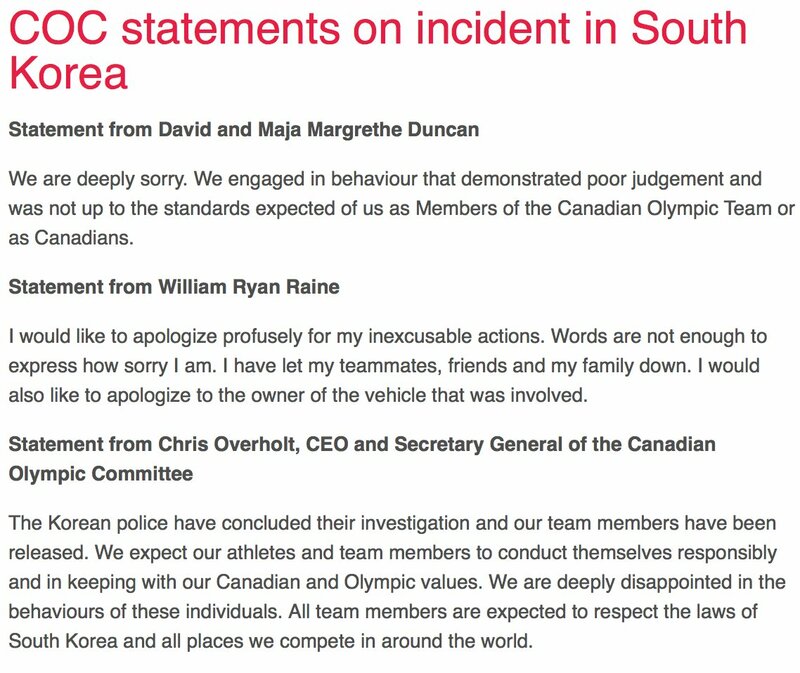 In the spirit of Ryan Lochte, one Canadian Olympic ski cross racer Dave Duncan, his wife, and coach got into some trouble with law in South Korea after allegedly stealing a Hummer outside of a bar while hammered in Pyeongchang. Duncan and his crew have been released from police custody, but are not permitted to leave South Korea. According to the CBC, representatives from the Canadian government have been in contact with local authorities to facilitate their exit from the country. Everyone involved with the heist apologized for their jackassery. For the record, Duncan finished 8th in the ski cross competition, so it’s not entirely clear what he was celebrating.